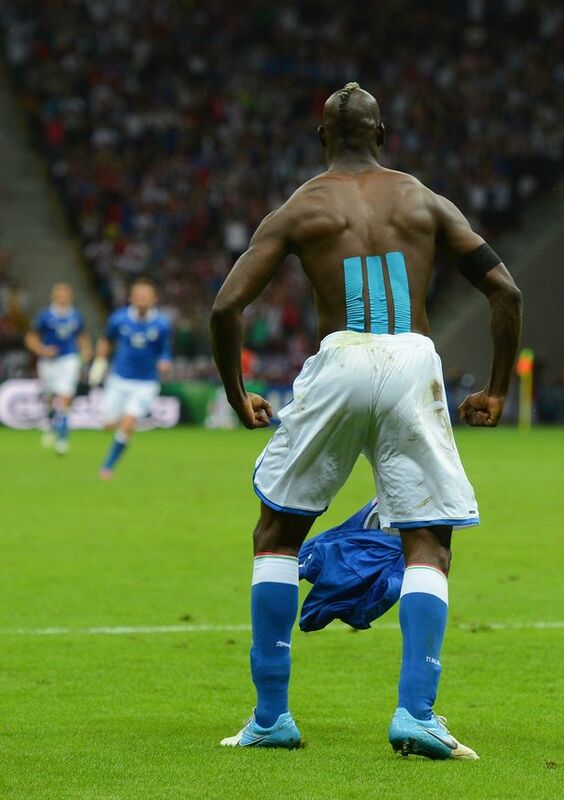 Mario Balotelli wearing kinesiology tape on his back. Kinesiology tape can help relieve back pain, back spasms and stiff, sore back muscles. It provides comfortable support without restricting range of motion, an important feature for a world class athlete like Balotelli. Kinesiology tape stays on through exercising, sweating, swimming or showering, with most applications lasting 3-5 days.